During its heyday, Cerro Gordo was California’s largest producer of silver and lead. Some 4,800 people lived there the 1860s and 1870s, and the bustling mining town proved itself to be a lucrative venture—even though it saw an average of one murder per week. Then the mine shut down and by the early 20th century, Cerro Gordo had transformed into a desolate ghost town. Today, it remains abandoned, save for the tourists that trek through the area to glimpse a relic of the Wild West. But the good news for history buffs is that Underwood and Bier have bought Cerro Gordo. For the list price of a cool $925,000, the new owners acquired more than 300 acres of land in Owens Valley south of the Sierra Nevada, along with mineral rights and 22 structures. According to the website that was set up prior to the sale of the property, a hotel, bunkhouse, superintendent’s house and several homes still stand on the property. The listing tasted the property, saying that, "the site has been extremely well protected from diggers, artifact looters and Mother Nature herself. Restoration has been undertaken on most of the buildings, and the rest are in a state of protected arrested decay." Soon after the U.S. Army forcibly removed the native Paiute people who inhabited Owens Valley, sending them south of Bakersfield to Fort Tejon in 1863, a prospector named Pablo Flores is recorded as discovering the area’s high-quality silver veins. Flores began mining and smelting operations in 1865. But the town, called Cerro Gordo, or “Fat Hill,” in reference to its abundance of silver, really took off after the businessman Mortimer Belshaw arrived on the scene in 1868. He brought the first wagonload of silver from Cerro Gordo to Los Angeles as Cerro Gordo came to be known as a “silver thread” to the city. Belshaw even built a “superior smelter as well as the first wagon road up the mountain,” according to Cerro Gordo’s website. As gun-slinging workers flocked to the town, Cerro Gordo became the sort of place that gave the Wild West its reputation. “Miners lubricated with whiskey settled fights over women and politics with pistols. Claim jumpers tunneled into the base of the mountain from all sides, prompting more gunfights,” Cecilia Rasmussen wrote for the Los Angeles Times in 2006. But in the late 1870s, the falling price of silver, coupled by a devastating fire in Cerro Gordo’s mine, brought activity in the town to a halt. Mining operations were started again in 1905, when Cerro Gordo was bought by the Great Western Ore Purchasing and Reduction Company, but the revival was short-lived; by 1920, only 10 men were employed in the mines. For the past few decades, the tumbleweed town has been owned by members of a single family. They felt it was “the right time” to sell the site, Jake Rasmuson of Bishop Real Estate, which facilitated the sale of the property, told Emily Petsko reporting for Mental Floss. The former owners ran tours of Cerro Gordo, which continued to operate until the town was sold - now, new owners Underwood and Bier will have to decide if they will continue the tours. Rasmuson told Annabel Fenwick Elliott of the Telegraph that the owners did not place any restrictions on the purchase of the property, but their ultimate hope was that the property would be purchased by a buyer who appreciated Cerro Gordo’s rich history. 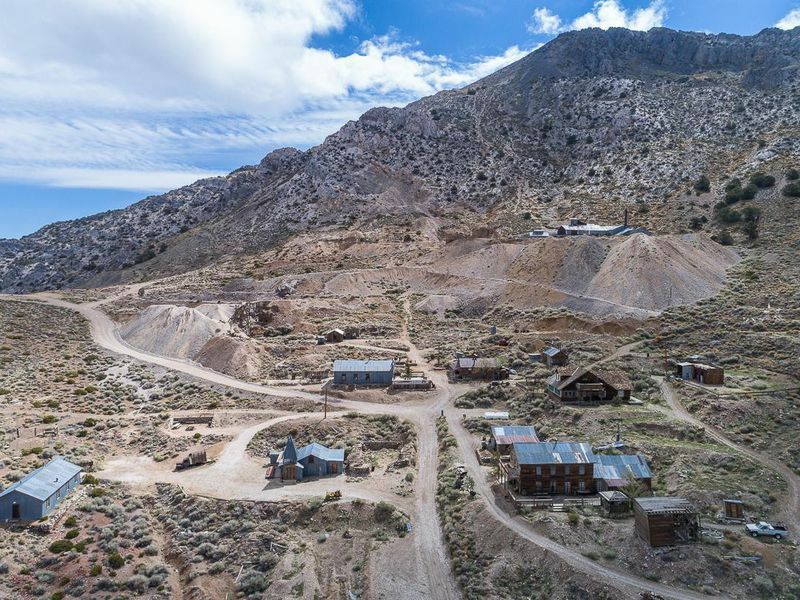 Prior to the sale Rasmuson states that the former owners, "would be more than happy to receive offers from any individual or group that will continue to care for this fantastic piece of history and would really like to find buyers committed to preserving the integrity of Cerro Gordo." 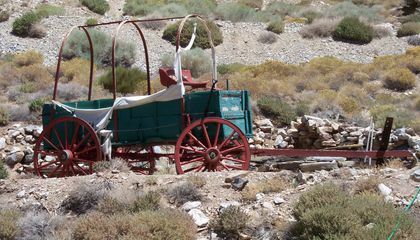 Why do you think people are interested in visiting ghost towns like Cerro Gordo? I'm really glad that the people buying this are actually intrested in the history and welfare of this town and are not just going to tear it down and start building some big city, just kind of fixing it up a bit. Interesting, never would have imagined that someone would put wi-fi, and running water in an old mining town. Seems like it would be quite the attraction for history buffs, and backpackers alike. Hopefully it doesn't get overrun with tourists and turned into an amusement park or anything like that.